Apart from IBM products our company also delivers Sharepoint solutions and adoption. 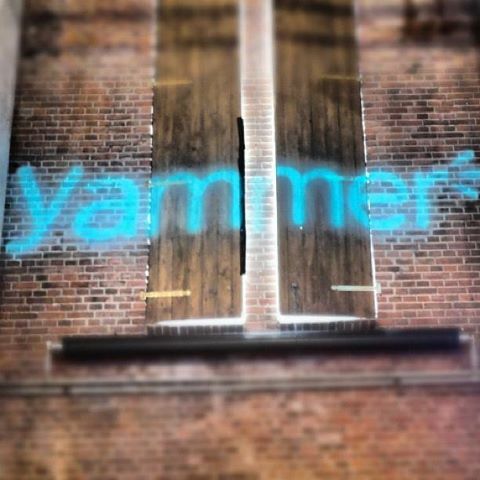 So when I learned that Yammer integrates with Sharepoint it intrigued my interest. Especially as Sharepoint isn’t exactly known for it’s social capabilities and the other way around I must say I wasn’t really impressed with the document sharing/collaboration options Yammer had to deliver. Combining the two together however could offer an interesting alternative to Sharepoint customers willing to invest in driving adoption and or adding a social layer within their existing Sharepoint platform. I must say that from what I saw today I was impressed. The integration is done through web parts, making it possible to leverage and engage in conversations with Yammer streams and groups displayed seamlessly in Sharepoint sites, adding private streams to MySite profiles, exchanging profile information, doing two-way activity alerting, allowing for simultaneous searching of Yammer & Sharepoint data and (most importantly) sharing content directly from Sharepoint without having to take it out of the Sharepoint environment. Why is this last thing important? Well because not every company wants their files uploaded into the cloud. In fact it’s a Yammer option to disable Yammers own file sharing capabilities completely to force users to use the onsite Sharepoint environment for file sharing. So while the conversations around for instance a document happens on the Yammer environment the actual documents themselves can remain safely stored and accessed in the Sharepoint environment. The user won’t even realize this as SSO and the seamless integration displays everything from within the Sharepoint environment itself. Still there are some things to keep in mind when doing this. EU based companies which have stringent requirements on data storage locations might have a problem with Yammers US based server park. But overall certainly an option worth investigating when you are on Sharepoint and want to drive adoption or engage it as a social platform. Yammers proposition for driving the social ‘conversation’ with #hashtags, groups and @mentioning really has an edge on a lot of other products out there and definitely has something to offer to any Sharepoint environment.